Four vintage Easter Rabbits postcards by John R. Neill, who created fantastic illustrations for many of the Wizard of Oz series books. 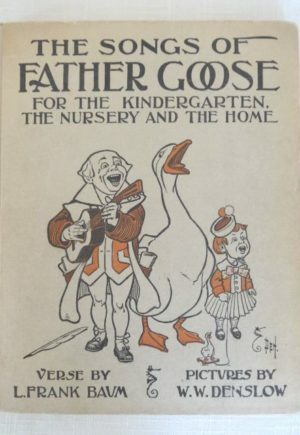 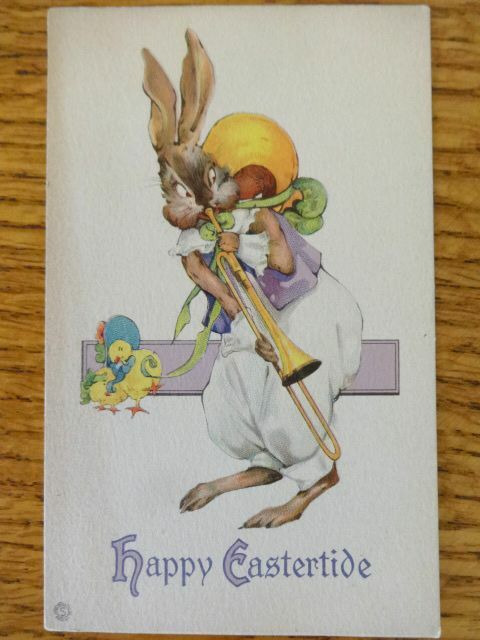 While best known for Oz, he was also versatile and did other work, including some Easter postcards published by Stecher circa early 1920’s. 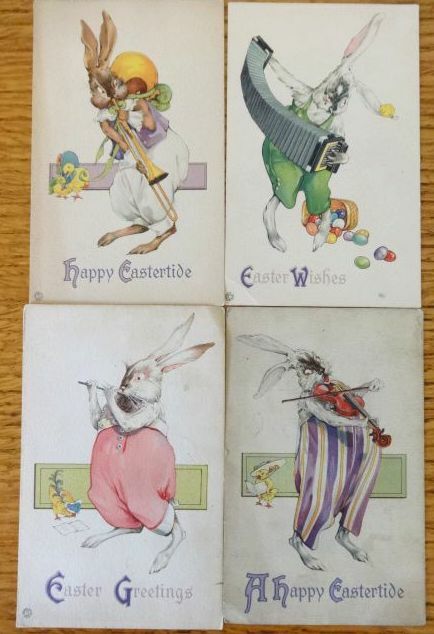 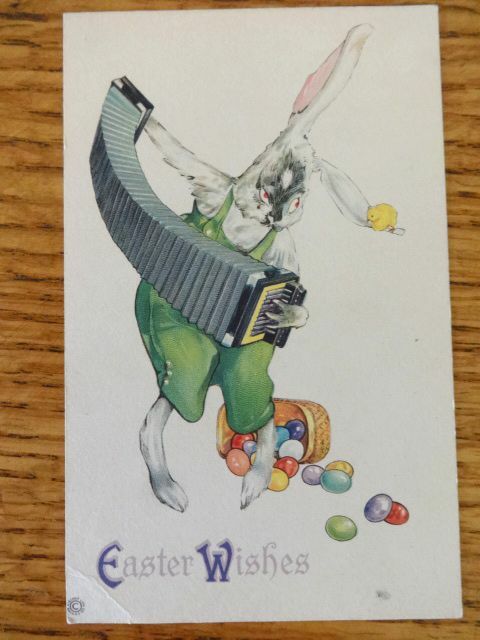 Here are four from the Stecher 787 series, with bunnies playing different musical instruments, including the violin, trombone, accordion and flute. 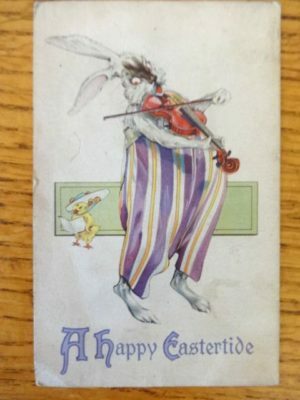 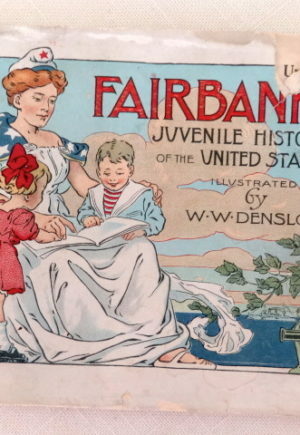 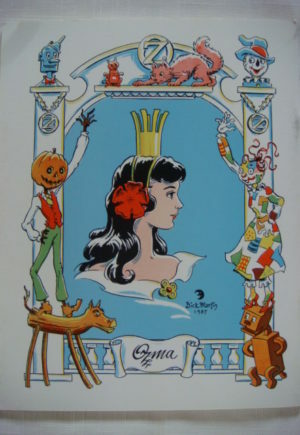 For more information, see the great Oz Enthusiast blog at http://theozenthusiast.blogspot.com/search?q=rabbits . 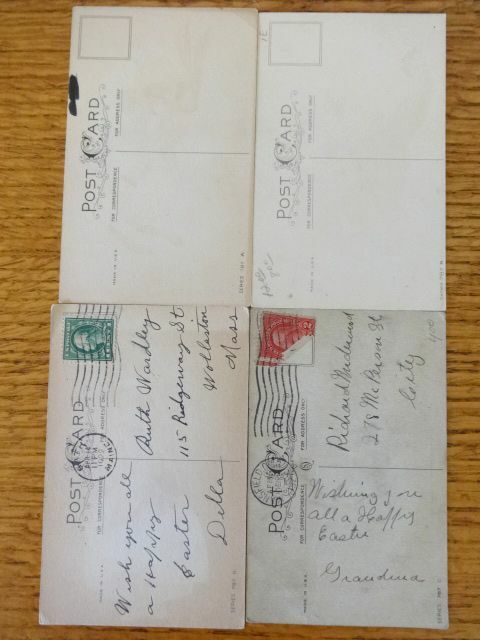 The cards are in good or better condition, with minor wear and only one used (a 1922 postmark). Three have the Stecher logo at lower left. 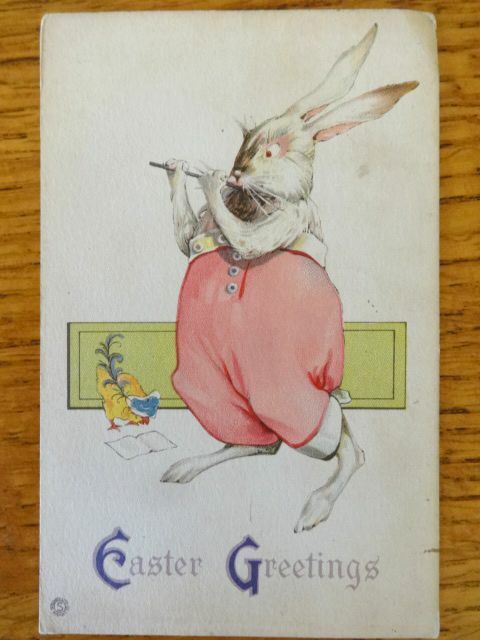 An adorable Easter gift, or vintage basket decoration!